Casino apps are becoming increasingly popular as punters move their gaming from the desktop to their mobile platform, allowing for greater freedom of when and where they play. With this in mind we compiled a list of the 5 best casino apps, to help you decide which one is right for you. Note: Unless specified, all apps are available on both iOS and Android, and for both mobile and tablet. Primarily a sports betting exchange, Matchbook is also becoming more and more renowned for its strong offering in casino games. They're pretty damn good when it comes to mobile casino gaming, that's for sure. As well as favourites like blackjack and roulette, there are a good range of NetEnt video slots, such as Guns'N'Roses, Starburst, Koi Princess, Twin Spin and Tornado Farm Escape. Matchbook also designs its own casino games, so you'll find some unique games to try out on the Matchbook Casino app that you won't find elsewhere. Over in the live casino, there are dealers for roulette, blackjack, baccarat and casino hold'em. Common draw blackjack is an exciting form or blackjack where all players bet on the same game. The current welcome bonus is directed exclusively at slots players. You must deposit at least £25 and roll over that amount 3 times on slots games. You will then receive 40 bonus spins the following day to use on Divine Fortune. The app version of Party Casino, branded as “the world's largest online casino”, you can expect there to be a pretty huge selection of games. With over 160 games in total, including 70 slots available to players, as well as a host of classic games, it's a great place to play regardless of your casino level. For those who like an unrivalled level of choice, Party Casino boasts a range of unique games which cannot be played anywhere else, which gives an enjoyable element of exclusivity when using the app. The range of live games immerse customers in the real casino experience, and allow players to compete against fellow players. While many players enjoy solo play, others enjoy the thrill and competition of vying with fellow app users to win their money. In terms of bonuses, new and existing players do very well on Party Casino. With daily free spins on offer and a loyalty scheme for returning players, there is also a £100 bonus for new players. The app is also backed up by one of the most sophisticated encryption settings around, meaning that players can play with a complete sense of confidence, knowing their deposits, account details and winnings are secure with this provider. While it may not be branded as the “world's largest casino”, Royal Vegas offers twice as many games as Party Casino, with over 400 on its roster. As you'd expect from any self-respecting gaming app, there is the usual blend of 3 wheel and 5 wheel slots, alongside games and casino classics. Games include: Thunderstruck, Tomb Raider, Avalon and Fruit Fiesta. There are also a number of jackpot games including The Mega Moolah, Mermaids Millions and Major Millions. There are also an interesting range of live games, such as horse racing or motorsport which punters can wager on. Visually it's among the best apps around, crisp clear graphics with a vibrant twist are complimented by the smooth interface and complimentary audio. For those who insist on exceptional functionality, Royal Vegas is a great place to go. With 24/7 support and a huge range of deposit methods, it's among the easiest apps to use consistently. Players can use live chat, text chat or even Skype to get round-the-clock support. 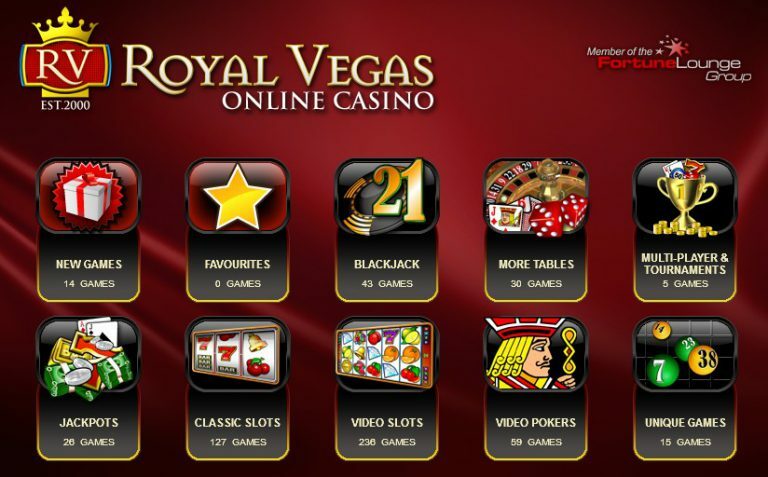 Overall Royal Vegas is among the best casino apps around. 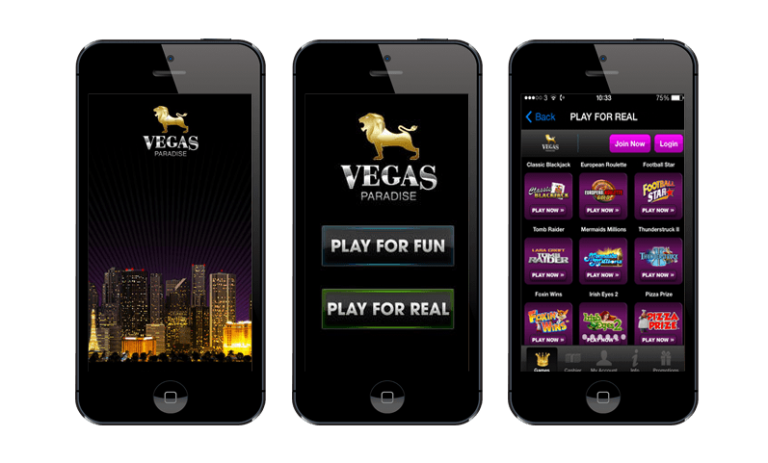 The last in our list of the best 5 casino apps is the Vegas Paradise Casino app. If it's slots you like, then you're in slots heaven with Vegas Paradise, their selection includes 3D slots, ways to win slots, multi paylined slots, classic 3-reeled fruit machines and jackpot slots. If these are your game, then look no further. Their host of games is compiled from a mix of many of the best developers in the industry, giving players an excellent selection of top tier games to choose from. In terms of bonuses, Vegas Paradise has a great selection to offer new and existing customers. With a 100% matched deposit for new players, existing customers can enjoy daily and weekly giveaways, along with sporadic free gifts that can be redeemed right through the app. In terms of usability, the app is not quite as sleek and enjoyable as some of the other ones offered in this article, however it still provides excellent functionality.